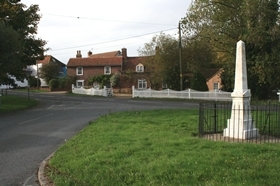 Is a small compact village of around 175 dwellings and located just off the A120 between Colchester and Harwich and about 10 mins drive of Manningtree. It includes a mixture of housing and has some commercial activity within the village. There is also primary school. Public House and general stores / sub post office. Wix is also home to an equestrian centre which caters for internal and external events including show jumping, dressage and cross country.